Feeling Lucky? 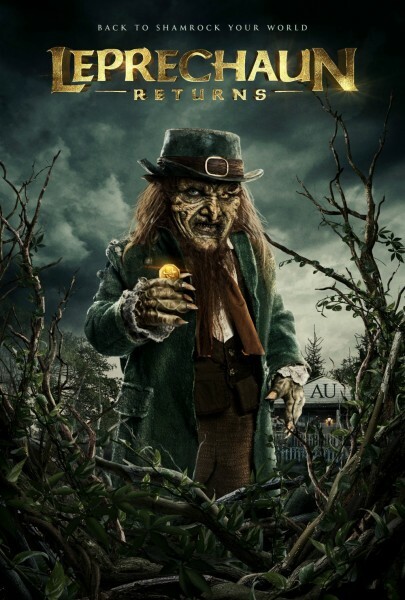 ‘Leprechaun Returns’ to Torment Sorority Girls! You’re luck just ran out… especially if you’re a college coed! Lionsgate has announced a Dec. 11 VOD release date for Leprechaun Returns, the seventh installment in the horror-comedy series that has become a cult favorite. This time out, the sinister mischief maker is out to murder and maim the sorority sisters standing in the way of his gold. Warwick Davis, who famously played the Leprechaun in the first six films, is regrettably MIA again, but Linden Porco of Channel Zero acclaim steps into his pointy shoes. The series is also known for launching Jennifer Aniston’s career with the original Leprechaun in the early 90s. Taylor Spreitler (Amityville: Awakening) is the one to watch this time out.